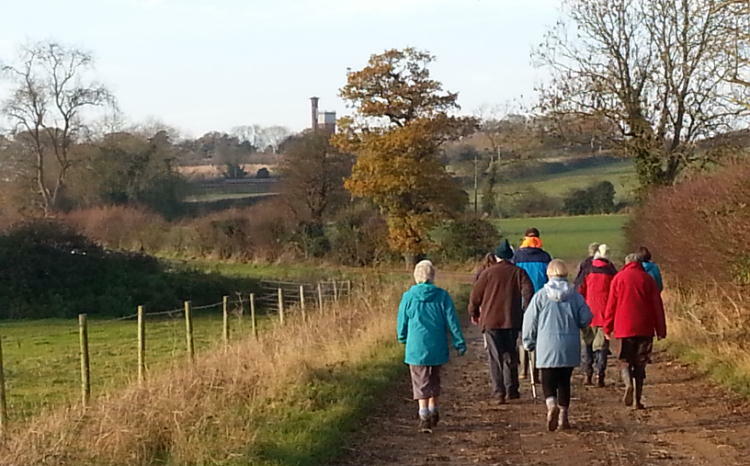 The Dersingham Walking Group was founded in 2005 to provide people from the village with the opportunity to enjoy guided country walks in the area. There is at least one walk each month, usually on the second Wednesday, with full details given in Village Voice and on this website. Each walk has a leader and is usually between 4 and 5 easy miles taking a couple of hours or so. Why not get some fresh air, exercise and enjoy our wonderful countryside, you'll be in good company! Wednesday 8th May 2.00pm. Courtyard Farm abounds with wild flowers at this time of the year, particularly cowslips. Enjoy them as we walk round some of the farm’s many permissive paths. Meet at the car park on the road from Ringstead to Choseley. 4 miles. Leader: Keith Starks 01485 542268. Start point grid ref: TF 721 405. Wednesday 22nd May 2.00pm. Coast and countryside with a chance to visit some of the charming villages of the Burnhams. Starting from the car park at Burnham Overy Staithe. 4.5 miles. Leader: Tony Bubb 01485 542638. Start point grid ref: TF 844 443. There's nothing like a good country walk to both relax and energise you at the same time. It's a real pleasure to just be out in the fresh air, and the health benefits are well known. Fortunately in Dersingham we have nearby access to some of the best country and coast walking in East Anglia, with many excellent routes starting right in the village. The Dersingham Walking Group has a team of experienced leaders one of whom guides each of our walks. We are always looking to expand the number of leaders, so if you would like to join us please get in touch. Training is provided and we can also suggest suitable walks if necessary. Speaking of walking routes, Cliff Jordan runs an excellent website called Whiffler's Walks which catalogues a large number of local walks. You can find a link to Cliff's website below. Look forward to seeing you with your boots on! Currently the Dersingham Walking Group's activities are coordinated by Stephen Martyn, who will be pleased to help with any enquiries. Email stephenmartyn@gmail.com or telephone 01485 541333.